The Waltrip Alumni Association, Inc. is your alumni association. We fund College and Vocational scholarships to Waltrip seniors to help in furthering their education. We invite you to consider applying for one of our $500 scholarships. The criteria for this scholarship are your reliability, attitude, cooperation, creativity, leadership, classroom behavior, motivation, and academic achievements while attending Waltrip. Financial needs will also be considered. Students applying for this scholarship must have attended Waltrip High School all four years. The Alumni Association’s Scholarship Application can be downloaded from our web site at: www.waltripalumni.org, along with the guidelines for receiving the scholarship funds. A copy of your transcript must also be attached. Each student applying for this scholarship must complete and return the student application to the Waltrip Alumni Association, Inc. by March 15th of every year. Any incomplete scholarship applications will be disqualified. 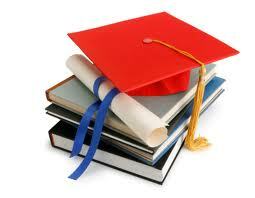 The Alumni Association Scholarship committee will notify the student(s) selected to receive a scholarship by mail. The awards will be presented at the Senior Night Awards Program held at Waltrip High School. We are very pleased to offer you the opportunity to be considered as a recipient for one of the scholarships funded by the Waltrip Alumni Association, Inc., and wish you much success in the future. Applications must be received by March 15th of each year. DISCLAIMER: The submission of the requested documents does not guarantee the granting of a financial award. Determination of scholarship recipients is made using a "blind review" of the scholarship committee and their decision to award scholarship funds or not to award scholarship funds of any particular applicant is final.